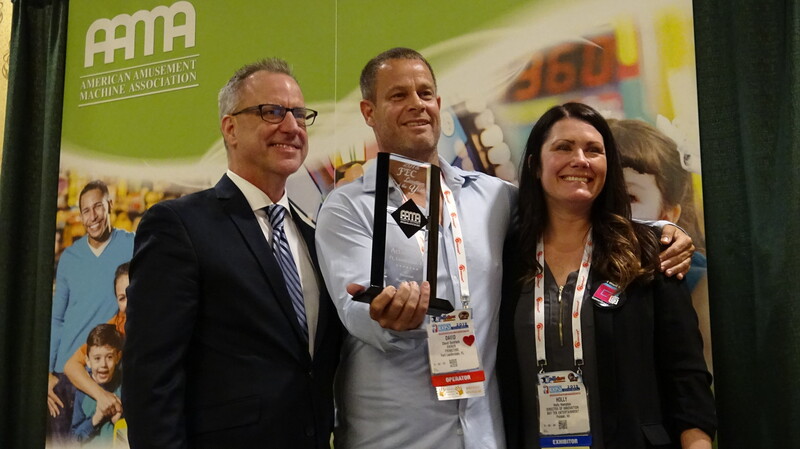 The FEC Location of the Year Award considers several criteria including games and attractions, prize center, food service, marketing, social media, charitable activity, safety and security, staff engagement, and design of interior and exterior spaces. There is also an extensive review from a secret shopper visit that provides important feedback for the judges to determine their winner. Five finalists were selected for a secret shopper visit. The winner was selected by AAMA’s FEC of the Year Review Committee, comprised of recognized leaders. 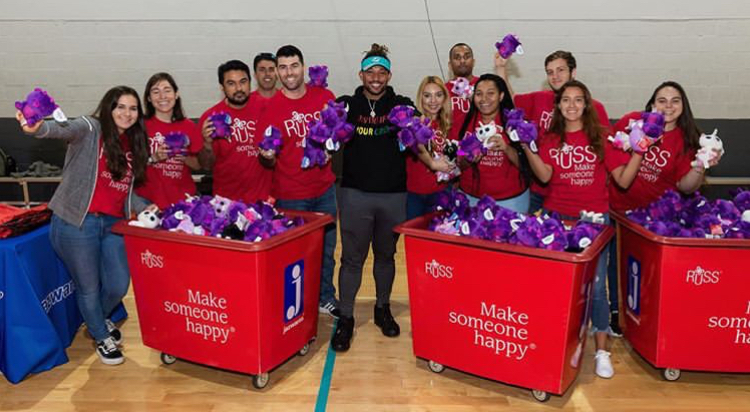 Make Someone Happy Event hosted by Xtreme Action Park with Jazwares, featured an appearance by Miami Dolphins, Albert Wilson. Photo courtesy of the Albert Wilson Foundation. Xtreme Action Park is known for its many charitable endeavors like an event they recently hosted to benefit more than 250 foster and under-served children from ChildNet, HANDY, The Crockett Foundation, Children’s Harbor and Children’s Home Society. Also, last year, Xtreme closed to the public for an evening and opened the entire park exclusively for the students, teachers and faculty of Marjorie Stoneman Douglas (MSD) High for “Eagle Day at the Park”. Together, with invited partners and community friends to help, their main initiative was to provide a safe environment where the students could simply play and create positive memories. Michael Dezer, Co-Owner at Xtreme Action Park, Owner of Dezer Properties and The Dezer Collection. We are so proud of the entire Xtreme Team who helped us obtain this national recognition, and after only 4 short years in operation. All of their hard work and dedication put in on a daily basis with a common goal – to help Create Memories that last a Lifetime! We look forward to continuing to do our part in bringing a little more fun to the lives of the people in our community and beyond. 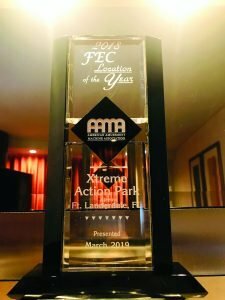 Recently named the largest FEC in Florida, Xtreme Action Park houses more than 220,000 square-feet of entertaining attractions including over 36,000 square-feet of event spaces. 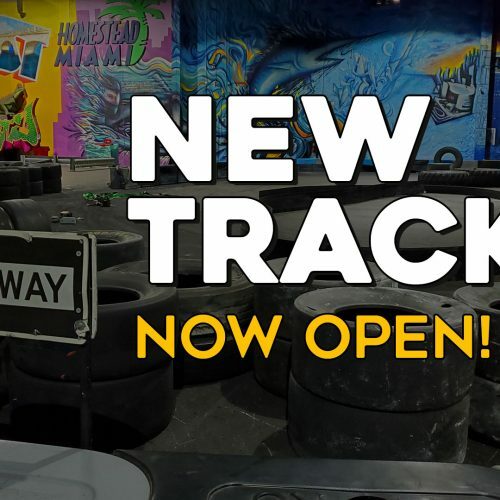 Guests can experience a variety of attractions from the newly added Virtual Reality Games and Escape Rooms, to the longest Indoor, gas powered Go Kart Racetrack, featuring three styles of go karts including Cadet, Pro and Super karts that can reach speeds up to 65mph! Or guests can enjoy classic fun such as recreational bowling on six full sized, plush Bowling Lanes or roller skating in The Arena, a 16,000 square foot Roller Skating Rink & Performance Venue that offers both an attraction and an event space hosting a variety of activities from Live MMA to awards ceremonies and even mitzvahs. Blast away with your family in their Glow-in-the-Dark Bazooka Blast Room, which offers Team Challenges in a 5,000 square foot space where players compete in a combat game that fires foam balls from real airsoft guns. If you prefer gaming, The Arcade offers more than 150 interactive arcade games in a 15,000+ square-foot game room including favorites like Hot Shot Basketball, a giant Pac Man Battle Royale and Space Invaders to the newest Halo, Walking Dead and the X-treme “Big One” Toy Crane which is over 12 feet high and offers the biggest prizes! And that’s not all, just above the arcade sits a Sky High Ropes Course Adventure featuring 50+ advanced and beginner level obstacles on over 75 platforms. The XD Dark Ride 7D Theater (that’s right, 7D not 3D) is the first of its kind in South Florida, offering an 8-player 7D theater and game in one, equipped with its own laser shooting device. Xtreme Action Park also offers food, beverage, and on-site event catering services. Guests can enjoy pizza, wings, burgers, fries and more at the All-American Café or delight in several flavors of ice cream scoops and shakes at Hershey’s Shake Shoppe. Adults can cool down after their fun at the Pit Bar, a full liquor sports bar featuring their signature Xtreme Ale, locally brewed by Biscayne Bay Brewery (recently voted the best beer in Miami by Miami New Times). Plus, guests can watch live sporting games, Pay-per-View UFC and even Live Music every Saturday night from any seat in the bar. Unique meeting and event spaces can be found all throughout the venue. Such as the VIP Skybox Lounge, which is located on the second floor, offers breathtaking views of the race track and features a private bar, private restrooms and even lounge seating with high tops. All areas are available for corporate team building, facility buyouts, birthday parties, reunions and more. The venue offers technologically-capable private rooms and access to audio/visual equipment including projection screens, DJ booth, stage, podium, sound system, programmable LED lighting and Wi-Fi.